A photographer can earn huge bucks if he knows how to make an effective use of the camera. Whether you are an amateur or a pro photographer, your camera can get you a lot of business if used in a right way. There is a need of time and efforts to make quick and money-making ventures by using your camera. Stock photography is a lucrative way to sell your high quality photos. As a photographer, you might have shot a lot of photos with commendable subjects and backgrounds. So showcasing your portfolio in the paid portals for the viewers is a good concept. Sell your photos on stock photography by uploading your favourite shots and have people look at them with wide-open eyes. Uploading the photos on stock photography follows a procedure which if not followed, can make your photos go unseen. To add the photos, you should specify some keywords so as to get more people noticing your work. Suppose, you are going to upload travel photography, in that case if you won’t specify the keywords, how would people get to know? To bring people towards your photos, add proper keywords so that when they type anything related to travel, your photos come up. The pay for stock photography has reduced due to the increasing number of contributors. Your work can go unnoticed given the huge number of contributors so to stay ahead of them, produce something exceptional. Sell prints if stock photography doesn’t appeals you much. You can determine the price as you want because while selling prints, people pay what you ask for. To sell prints, you need to have a good quality printer and ink that prints the designs beautifully and make people feel good while looking at them. Also, the printed photos look professional if the printing is of premium quality. If you are a beginner, you can choose a low cost printer to have some control over the cost of printing. Opt for a less expensive printer to start with and once you get a proper grasp of what to print, switch to a better printer. Advertisement is also important while selling prints and for that, you can publicize your work via social media channels. Create a Facebook page and upload the images of your work. Ask your friends to like your page and spread the page among a wider audience. Other than that, display your prints on your social channels using the hashtags for the people to find you easily. Selling prints needs hard work and efforts and once you put in all your time, people start noticing you and your work. Don’t forget to produce exceptional work as having prints doesn’t qualify you for the purchases. Making money with your camera is no big deal only if you have the right approach to follow. I have mentioned the self-tried methods of selling photography work online and earn huge revenues. 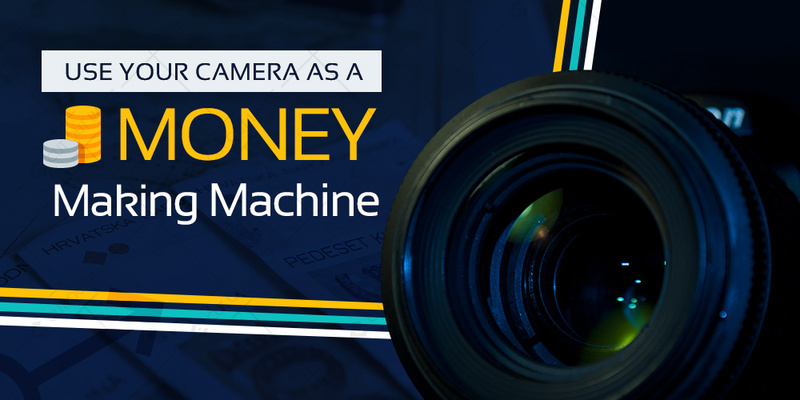 Hope you also learn to apply these ways and transform your camera to a money making machine in the shortest possible time.